The International Energy Agency said Friday that Germany must shield its consumers from paying too much of the cost of its ambitious switch from nuclear power and fossil fuels toward renewable energy. The IEA also said Europe's biggest economy should make greater use of natural gas to smoothe the transition and reduce the use of coal to meet its carbon reduction targets to combat climate change. Given the scale of the "Energiewende" or energy shift, the size of the German economy and its location at the heart of Europe, the agency said in a regular review that further steps are needed "to maintain a balance between sustainability, affordability and competitiveness". Chancellor Angela Merkel decided after Japan's 2011 Fukushima nuclear accident to phase out nuclear power by 2022, an about-turn that started with the immediate closure of the eight oldest plants. 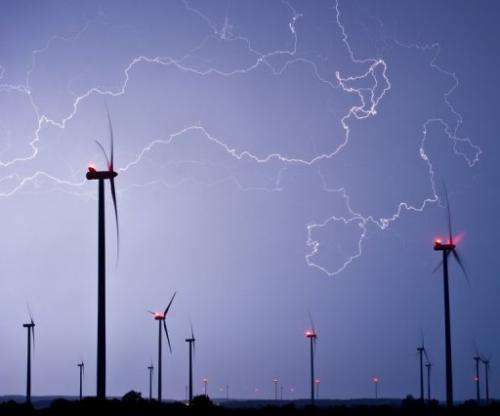 Since then Germany has accelerated a boom in wind farms, solar power and biofuels, promoted by subsidies and legal reforms, with the goal of gaining half of its electricity from renewables by 2030. Legal reform in 2000 "has proven very effective in introducing renewable energies; notably electricity generation from biomass, wind energy and solar photovoltaics," the report said. However, the Paris-based IEA pointed to a political debate in Germany about discounts given to industry, which have been financed in part by higher power bills for consumers and a tax surcharge. "The costs and benefits need to be allocated in a fair and transparent way among all market participants, especially households," the report said. It also pointed to the geographic spread between the renewables' supply and demand. While most wind farms are in Germany's coastal north, the highest demand is in the industrial south and west. Germany is planning to massively expand its transmission and distribution networks, a costly process complicated by local opposition in many places to the new power infrastructure. "To date, Germany's record with regard to the construction of new grid infrastructure is patchy and planning and consenting procedures present a major stumbling block," said the IEA. In the global effort to halt climate change, melting ice caps and rising seas, Germany has pledged to cut its carbon emissions by 40 percent below 1990 levels by 2020—and by 95 percent by 2050. Ironically, a drop in the price of coal, one of the biggest polluters, along with the rise of cheap renewables, has seen coal make a comeback at the expense of cleaner-burning natural gas. "As a result of weak carbon prices and high gas prices in Europe, existing gas-fired plants have lost competitiveness, and evidence suggests that some are being taken off-line," said the report. The IEA said gas plants now "struggle to make a return despite the flexibility they offer to the market" in terms of quickly evening out troughs in the fickle supply of weather-dependent renewables. "The strategic role of natural gas in the Energiewende needs further clarification," said the IEA, "and greater thought should be given to its use and place in the electricity supply mix of the future." No. Angela Merkel (of the christian democratic union - CDU) decided to phase nuclear BACK IN 3 months BEFORE Fukushima. The phaseout by 2022 had been put into law by the previous administration under the coalition of social democrats (SPD )and the green party - and she was in the process of overturning that. She merely then re-reversed her attempt to kowtow to her industrial puppet-masters because it would have been political suicide to stick to nuclear post-Fukushima. And she's still pandering to big industry (and energy providers) by hindering the expansion of energy infrastructure wherever she can.